Students choosing the General Finance emphasis develop both theoretical knowledge and practical application skills necessary for careers in corporate finance, investments, and related areas. Students majoring in finance will develop an analytical framework that allows them to recognize financial problems and develops feasible solutions. Starting with a strong foundation in financial statement analysis students then move through the more advance finance topics and be involved with financial modeling. Students in finance are exposed to vast amounts of financial data and must understand how to analyze and interpret such data. Class offerings in finance include financial markets and institutions, investment analysis, portfolio management, international finance, derivatives, risk management, real estate analysis, entrepreneurial finance, and advanced financial management. For those aspiring students who perform well there are several opportunities within the department. 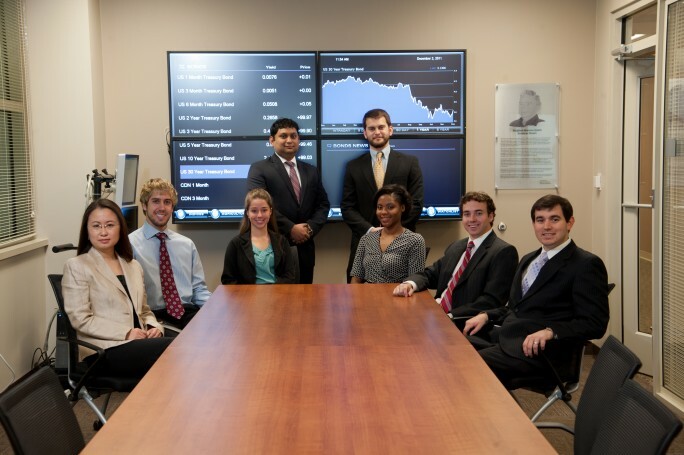 One opportunity is to be a part of the Applied Equity Analysis class, which manages the student-directed Joe Ford Portfolio. These students essentially perform the roles of equity analysts and have the opportunity to present their equity research to outside business professionals. A related opportunity is to participate in the CFA sponsored Investment Research Challenge. This research challenge is an intercollegiate competition that provides an opportunity for finance students to showcase financial analysis and presentation skills. A third opportunity is to learn about the investing skills of Warren Buffet and participate in the Berkshire Hathaway Annual Shareholders’ meeting. In addition, many finance students have opportunities to participate in finance co-ops that give them first-hand experience in the field.